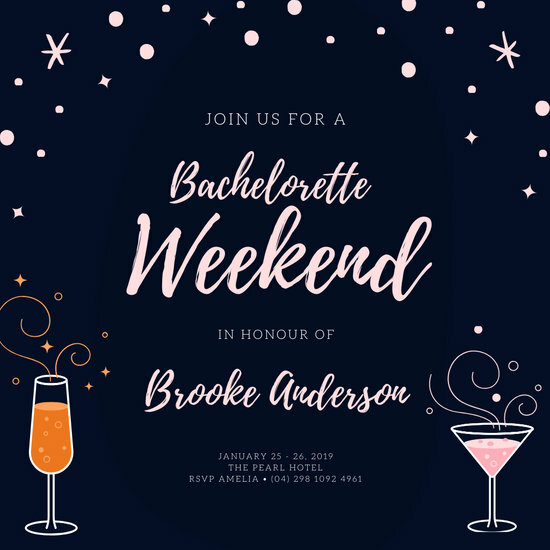 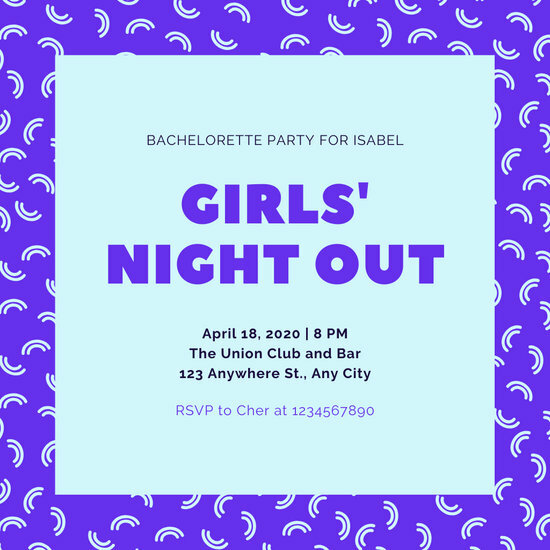 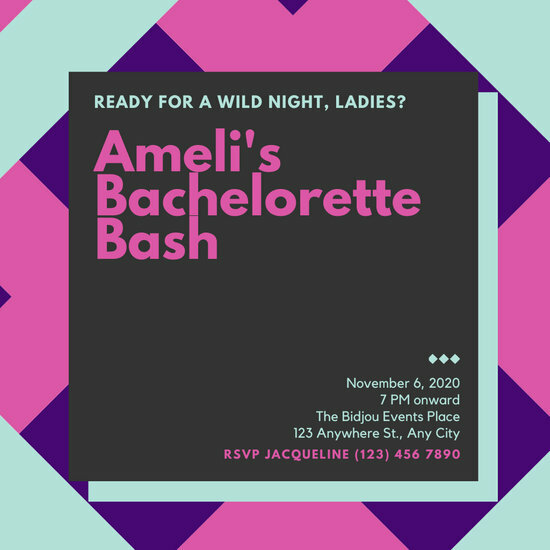 Get the gals together as you say so long to singlehood with bachelorette party invitations you can personalize, print out or publish online. 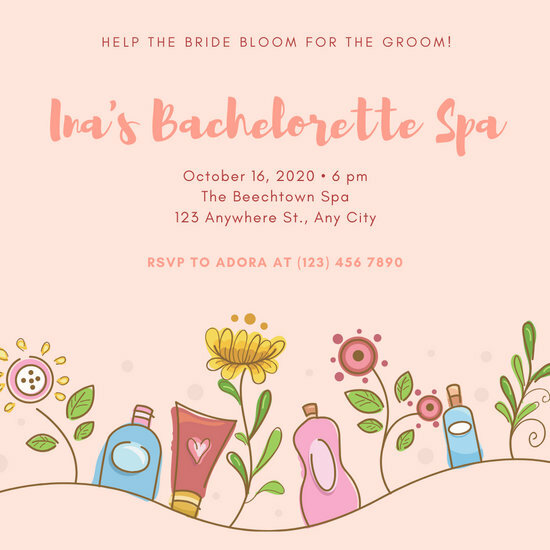 Can you believe that your friend's about to tie the knot? 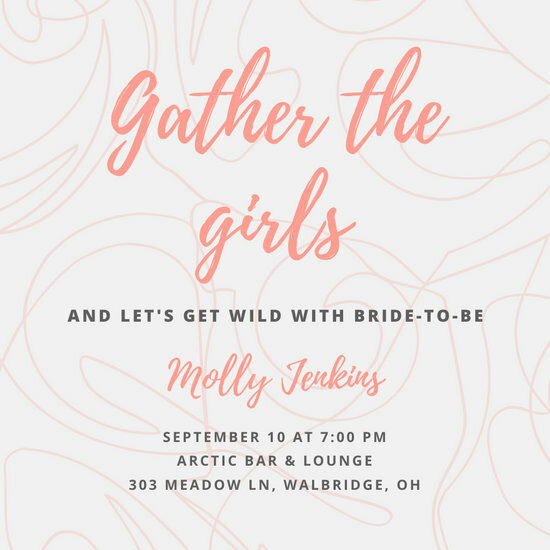 It's amazing how much can and will change when she makes the big jump from singlehood to a married life. 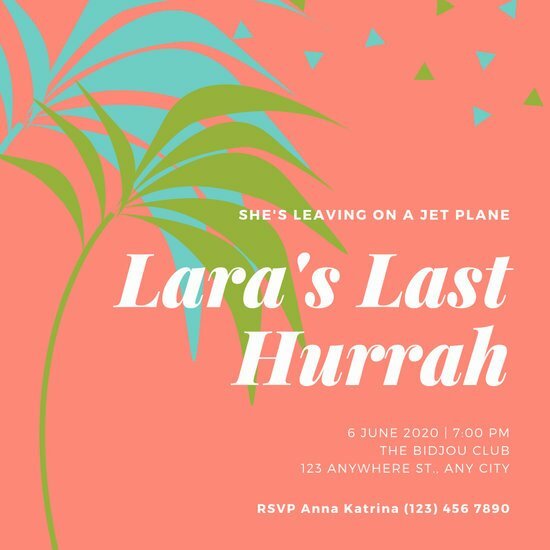 When she devotes her time to her husband and towards building a family, there are many things that she will no longer be able to do as often as she used to. 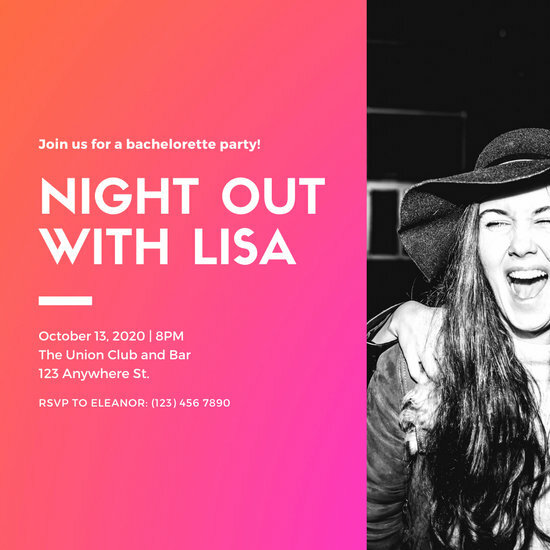 It's highly likely that hanging out with your group of friends will be one of those things. 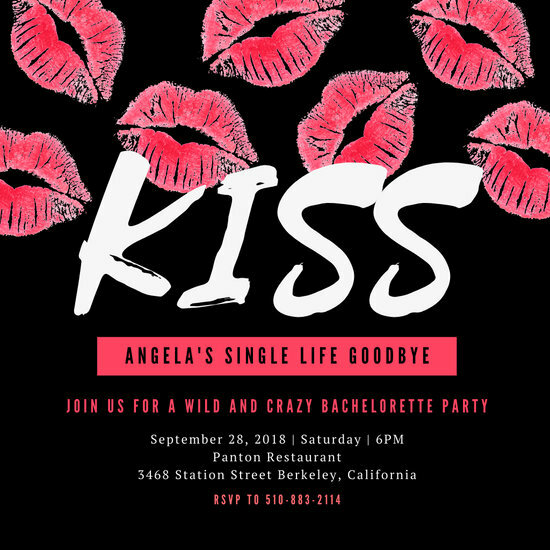 That's why you should make sure that her single life goes out with a bang instead of a whimper! 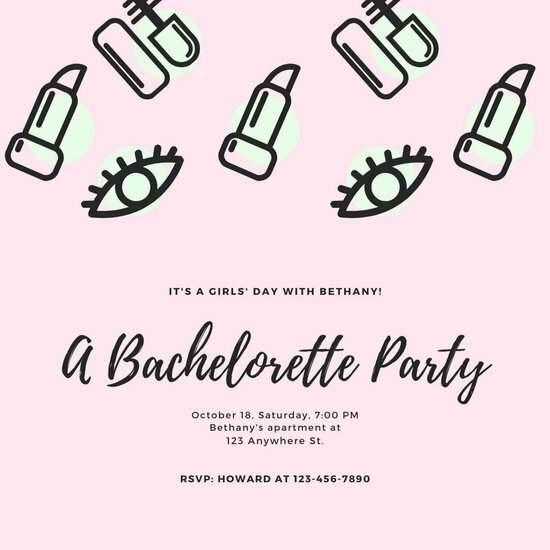 The best way to do this is to organize a fun bachelorette party. 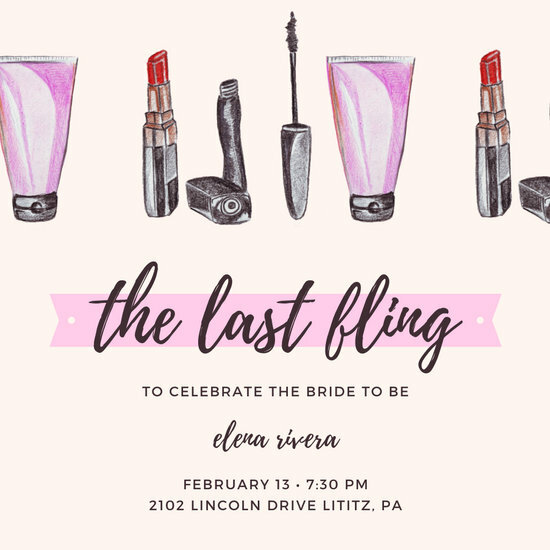 Let your friends know what you have in store for the bride-to-be! 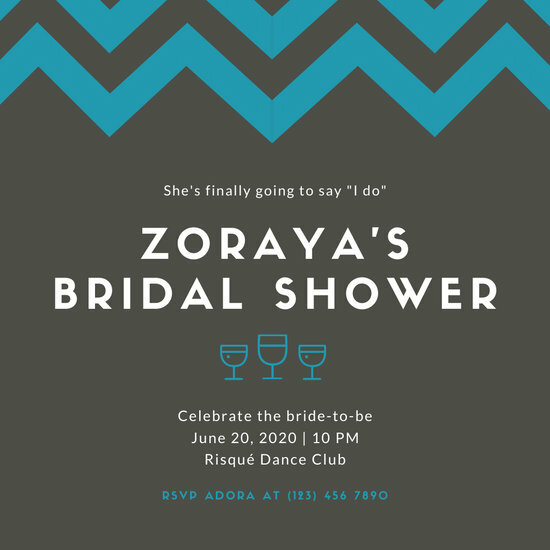 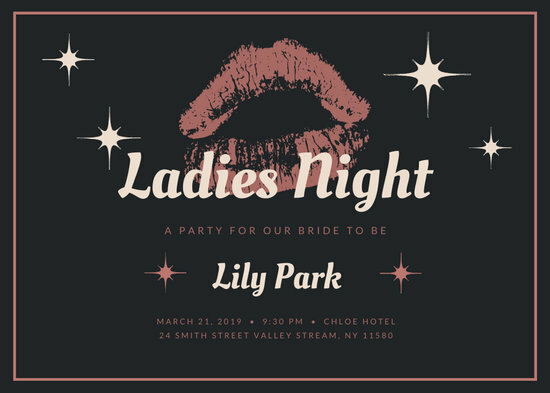 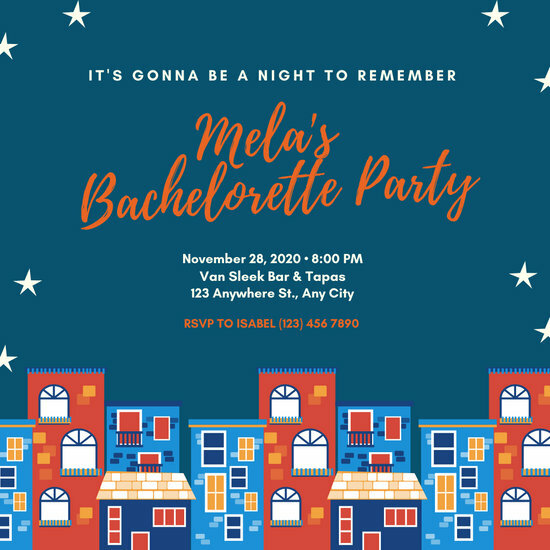 Send them an invitation designed in Canva. 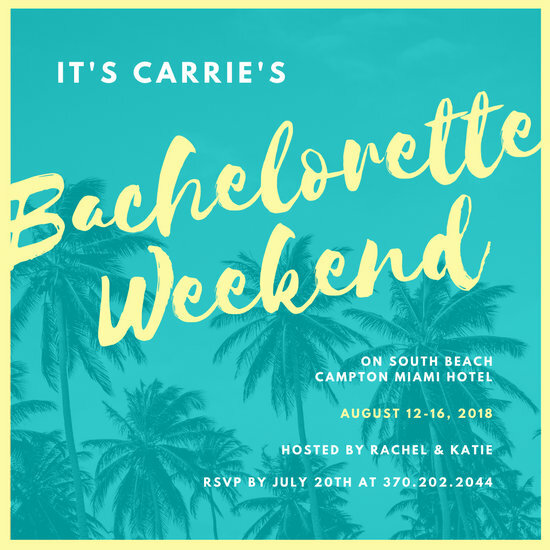 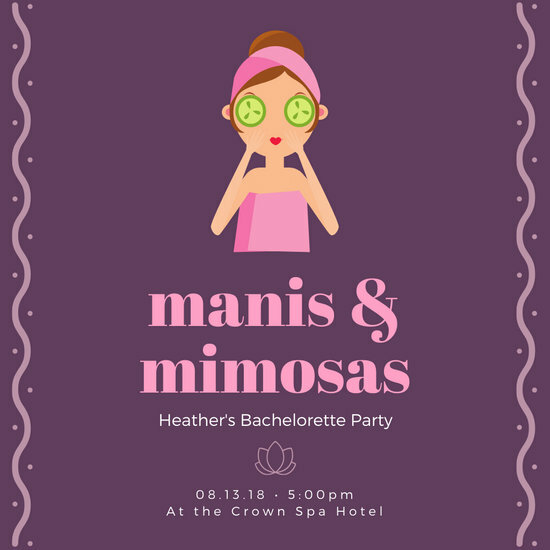 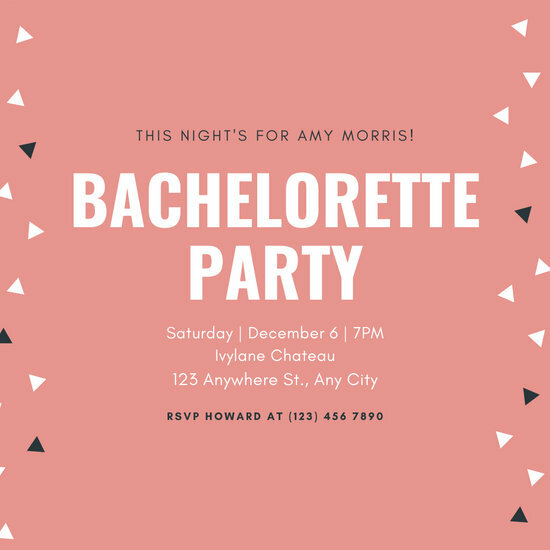 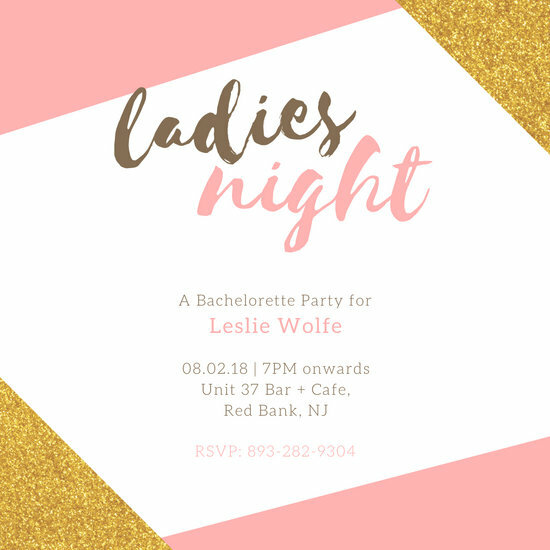 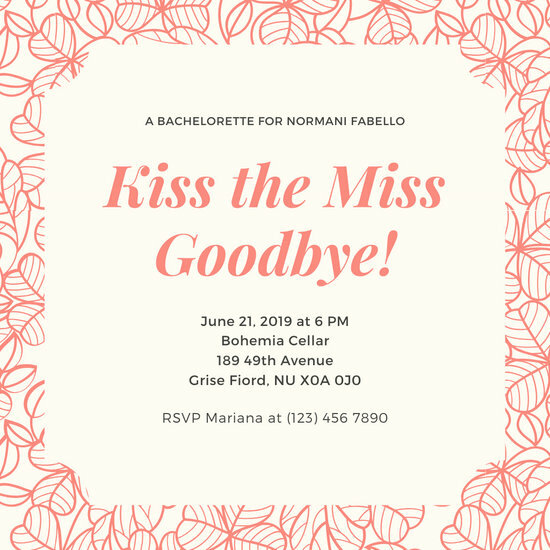 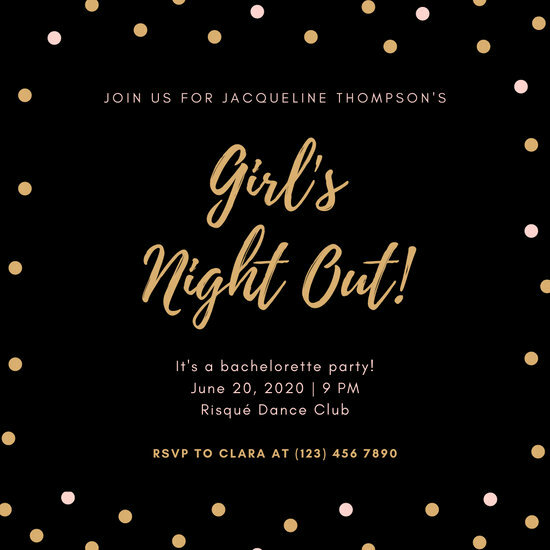 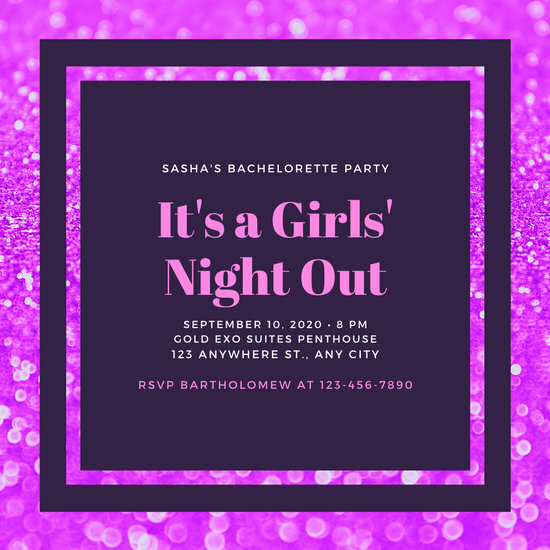 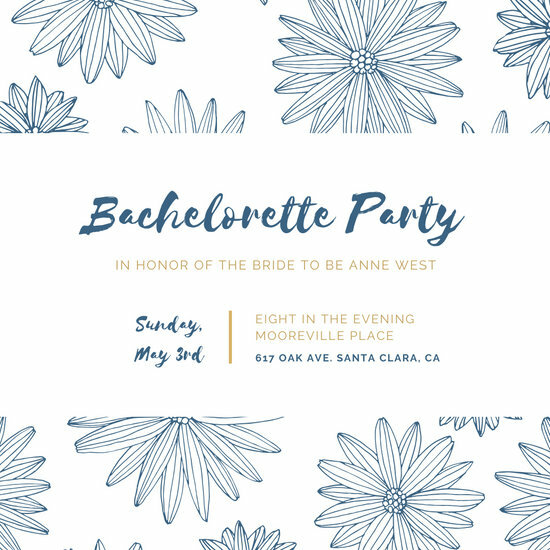 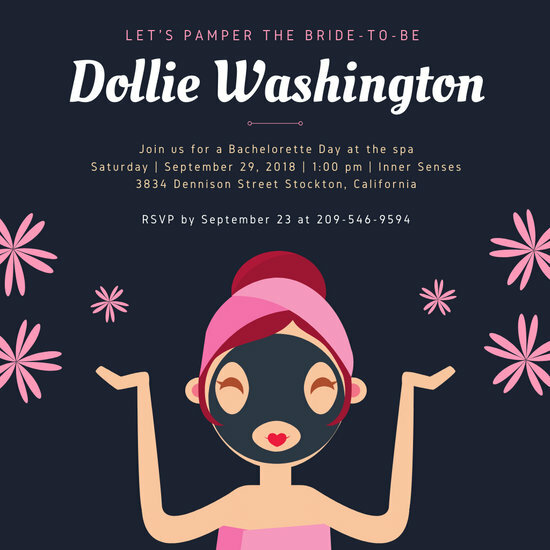 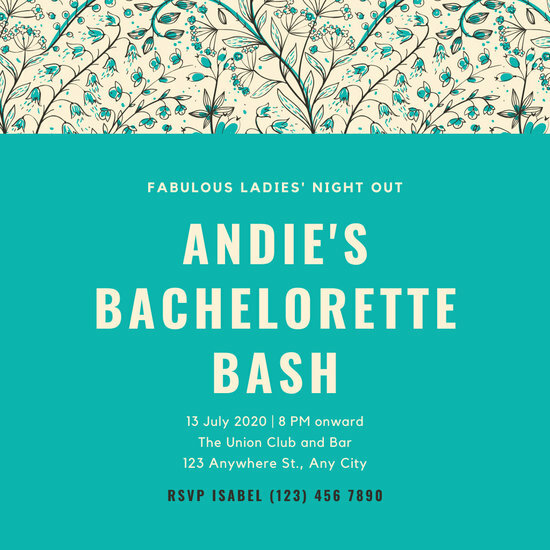 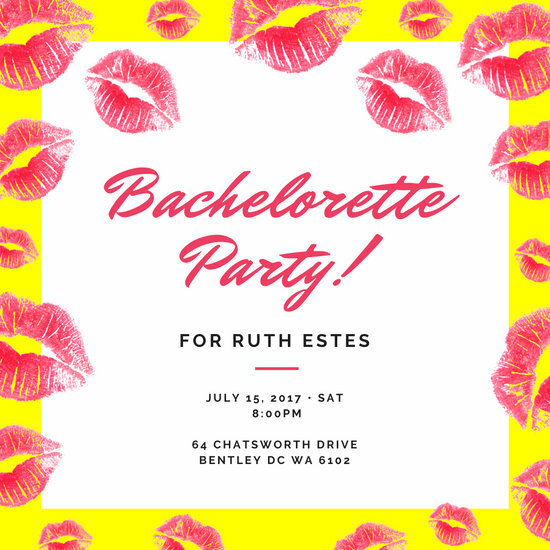 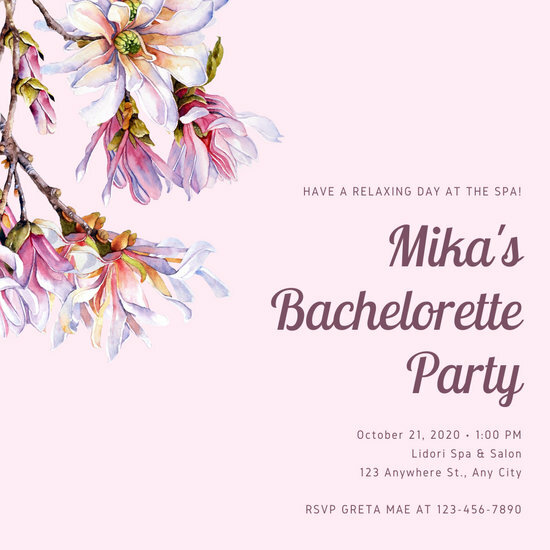 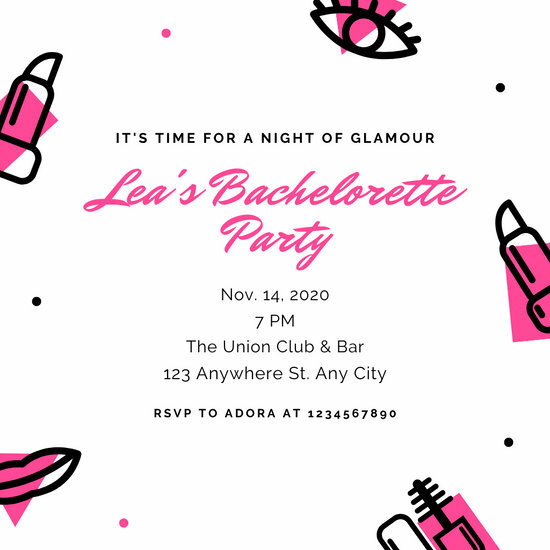 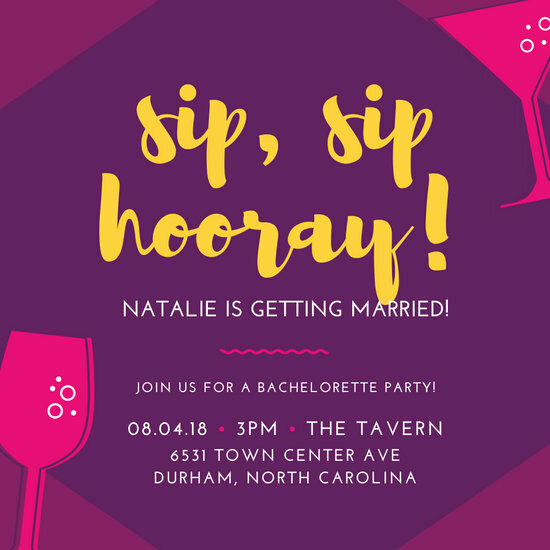 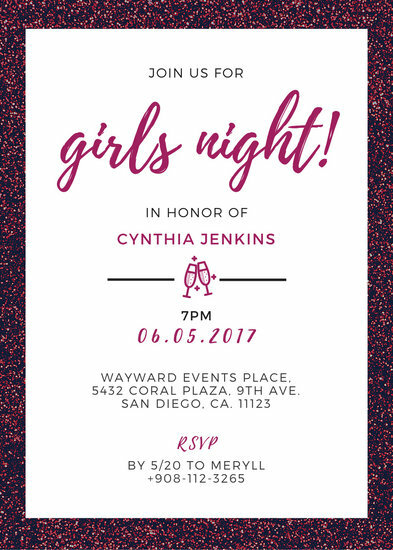 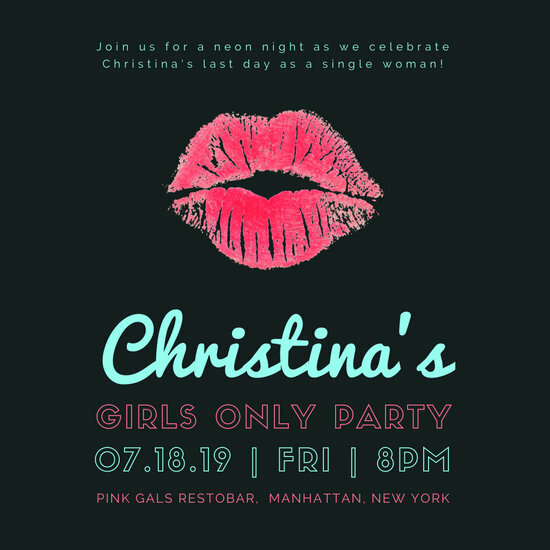 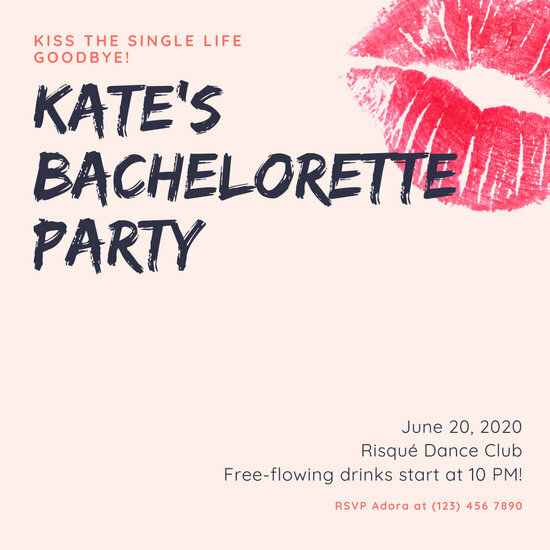 You can use any of Canva's Bachelorette Party Invitation Templates and make the job so much easier for you. 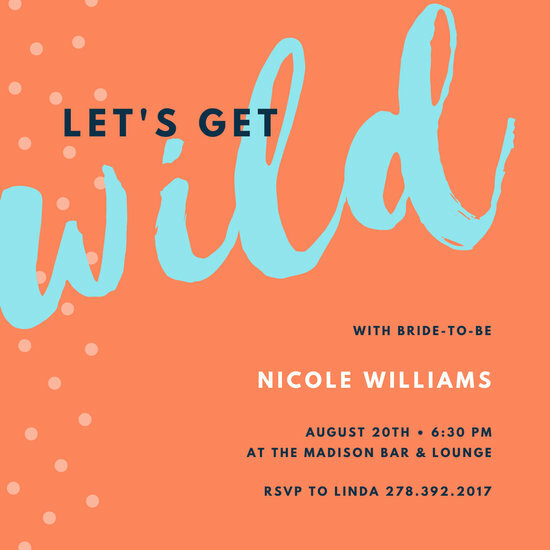 Simply choose one that best suits your needs, load it in the Canva Dashboard, and decide which elements you want to keep and which elements you want to customize. 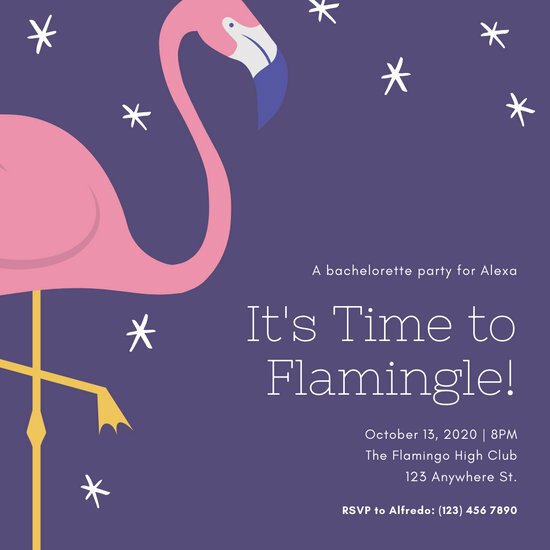 You have full creative control over the design, from the kind of font used to the predominant colors - and with the right tools, you can turn your creative vision into reality. 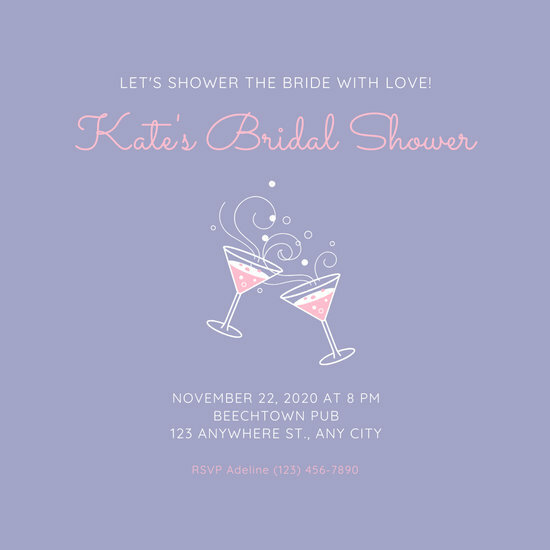 You can even include a photo of the bride-to-be, edited and cropped to perfection. 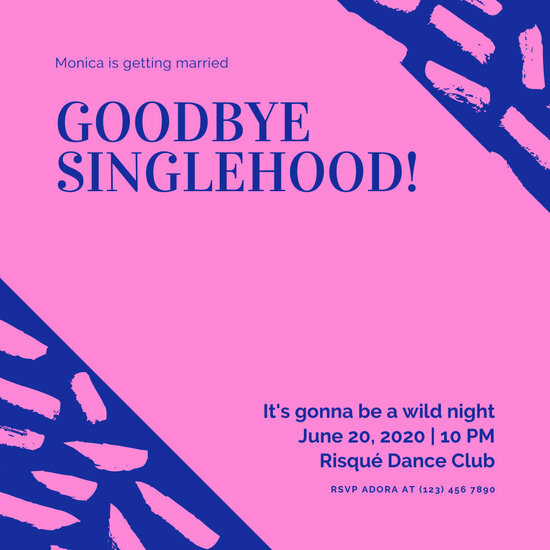 Let your friend's last hurrah for singlehood be a truly memorable experience. 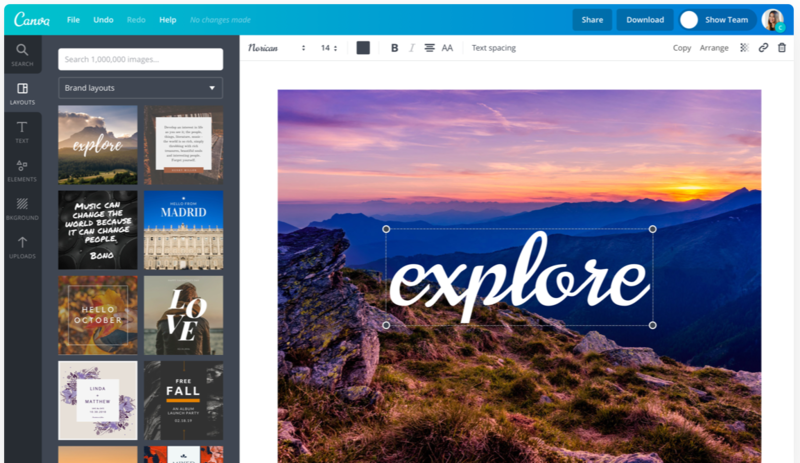 With your friends, a bit of creativity, and Canva, you can definitely achieve that.